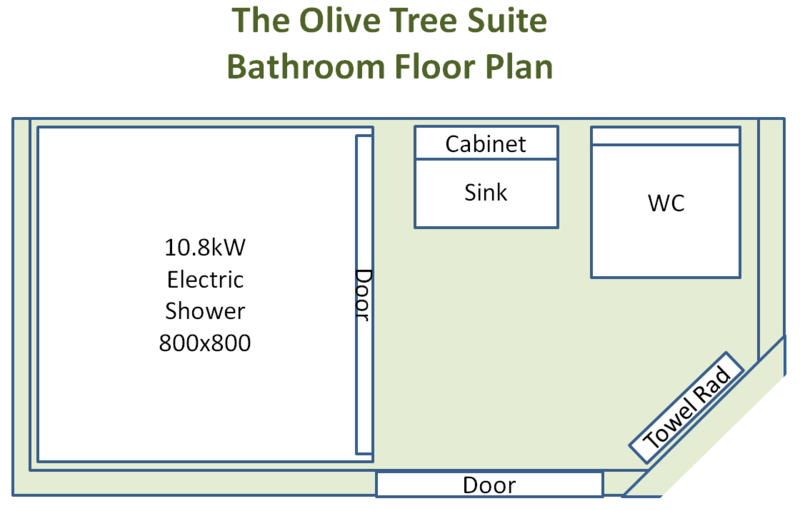 Please find here the Floor Plan for The Olive Tree Suite, which has been constructed with very generous dimensions. The suite occupies the entire second floor of a residential house, with plenty of windows at front and rear with lovely views over gardens and the Oxford skyline. Internally the suite feels light and airy, due to the generous Sky Windows, internal glazed doors and Double Doors by the Glass Juliet Balcony, all adding to a sense of scale and openness. 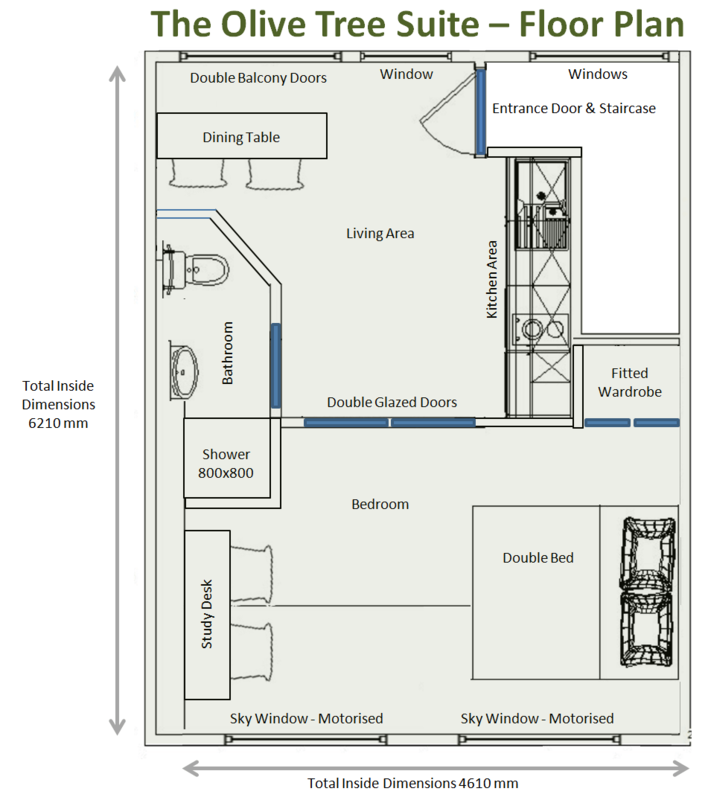 In the pictures linked below you can see the layout of The Olive Tree Suite. The entire area with Green background is the Suite. The entrance is via a staircase, shown in white.